Ruthiebear (Titusville, NJ, United States) on 22 May 2017 in Art & Design. 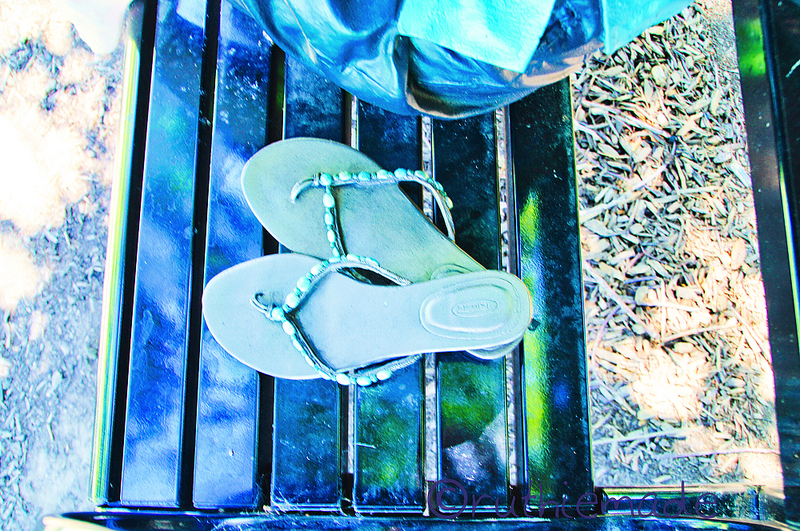 The reader is comfortable with her shoes off and sitting next to her on the bench. Where has the lady gone? The mystery of the day. I really like your treatment on this image. Wonderful color. Hummm, déposer les sandales et marcher pieds nus, que du bonheur! Superbe photo chère Ruth! Bise, bon lundi dans la joie! Belle idée ; joli résultat. An excellent detail to capture. Excellent. Great detail those slippers off and on the bench. Eye-catching color and processing!! The bench looks like tie-dye coloring was applied. Can't beat going barefoot in the summer. Beautiful shades of blue! A lovely image! I wish you would have included the reader. @Irene: The reader was yesterday and the day before. Superbe schlaps quelle iamge génail.